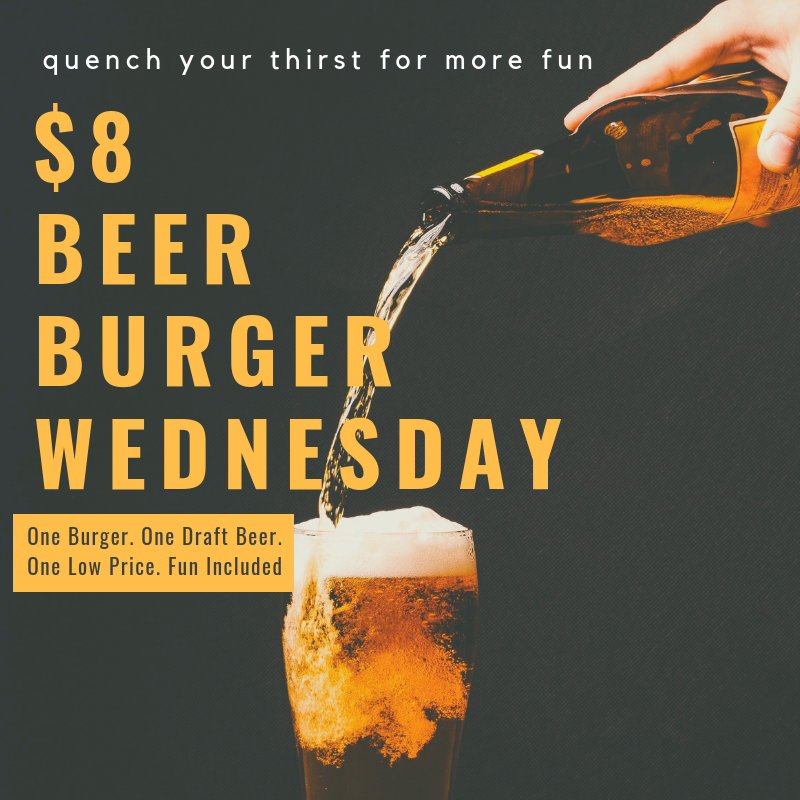 Love Wednesday With Music & Burgers & Beer Of Course! It’s a triple lineup on Wednesday at The Pointe. Enjoy the fabulous $8 Burger & Beer Combo while naming that tune to music bingo with Dj Mike! Not familiar with the game of music bingo? Check out the rules below! 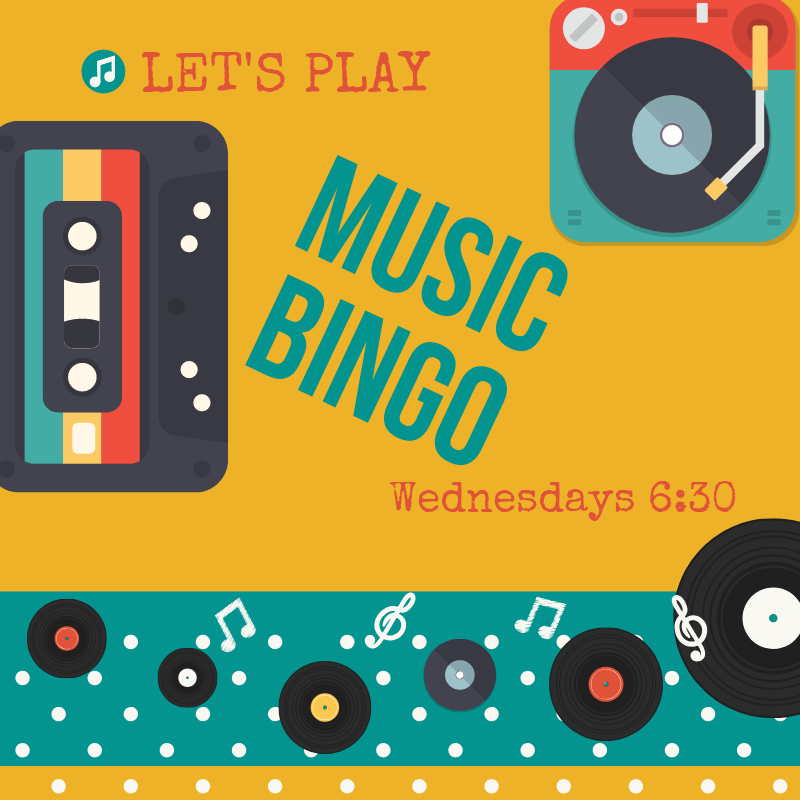 Music Bingo - Music bingo is a fun filled and fast paced take on traditional bingo! The rules are easy, players are given a bingo card where traditional bingo numbers have been replaced with song titles. Song clips are played and when you recognize the song you mark off the spots on your bingo card. Don’t worry if you don’t know the song, the title will be announced before the next song is played. We have 18 music categories to choose from including the 40's, 50’s, 60’s, 70’s, 80’s, The Beatles, Classic Rock, Legends, TV Theme Songs, Country, "Red, White, and Blue" (Patriotic), and Disney Movie Songs. We will play four games with different categories. It’s free to play with prizes being awarded to the winners! Special guest, DJ Mike, will be hosting the game and promises to keep you guessing with a variety of different songs. All are welcome to join us at 6:30pm for what is sure to be a night packed full of excitement!